From best-selling author Holly Webb comes a gorgeous wintery story of a very special friendship, just in time for Christmas. Amelia is exploring the huge, old house where her family are spending Christmas when she finds a diary hidden in the attic. 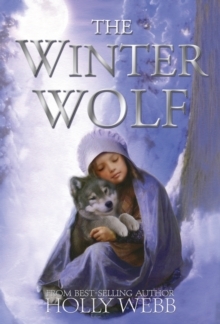 It was written by a boy struggling to look after an abandoned wolf pup. Before she knows it, Amelia is transported into the wintry world of the diary. Fans of Holly Webb’s The Reindeer Girl will delight in this beautiful winter’s tale.